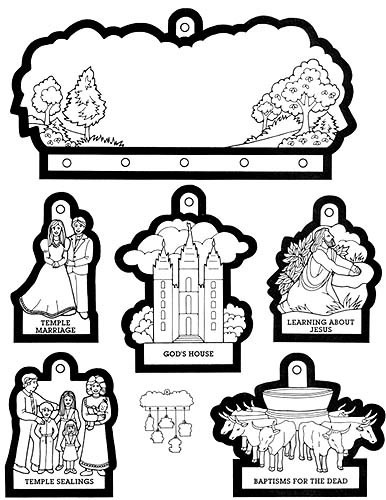 To make a mobile to remind you of happy things that happen in the temple, print and mount it on lightweight cardboard. 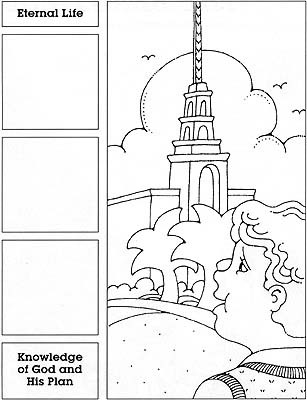 Next, in the space provided, draw a picture of the temple nearest your home, then color and cut out each picture, and punch holes where indicated. 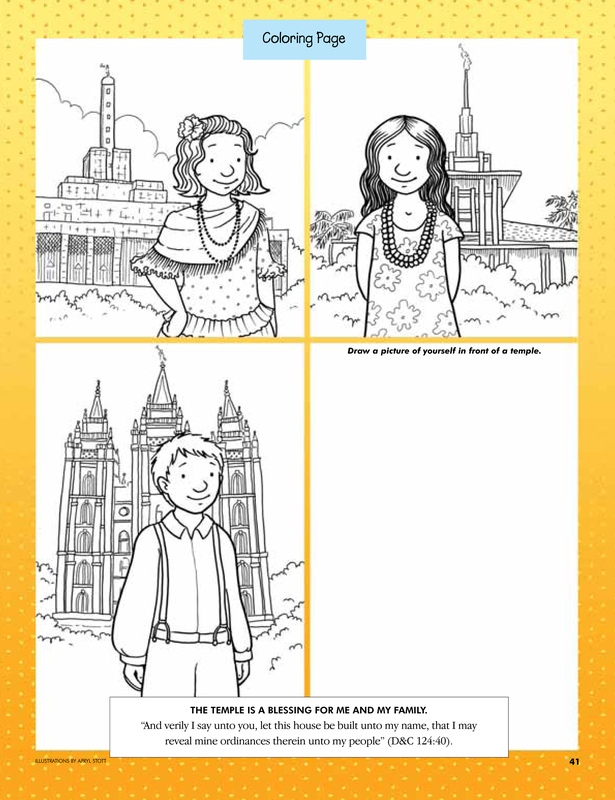 On the back of each picture, write about how that temple blessing makes you happy. Use string or heavy thread to tie the smaller pictures beneath the picture of your own temple and hang the mobile. Let the hearts of all my people rejoice, who have … built this house to my name (D&C 110:6). What makes you happiest? If you choOse between something that would last for just a little while and something that would last forever, which would it be—an ice-cream cone, or a friend? a paper plane or doll, or a Book of Mormon? a baseball game, or a trip with your family? Ice-cream cones and comic books and baseball games are all fun, but they don’t give the lasting happiness that friends, scriptures, and family do. The temple shows us how to choose the happiest things in life—long-lasting things like love and goodness and kindness. 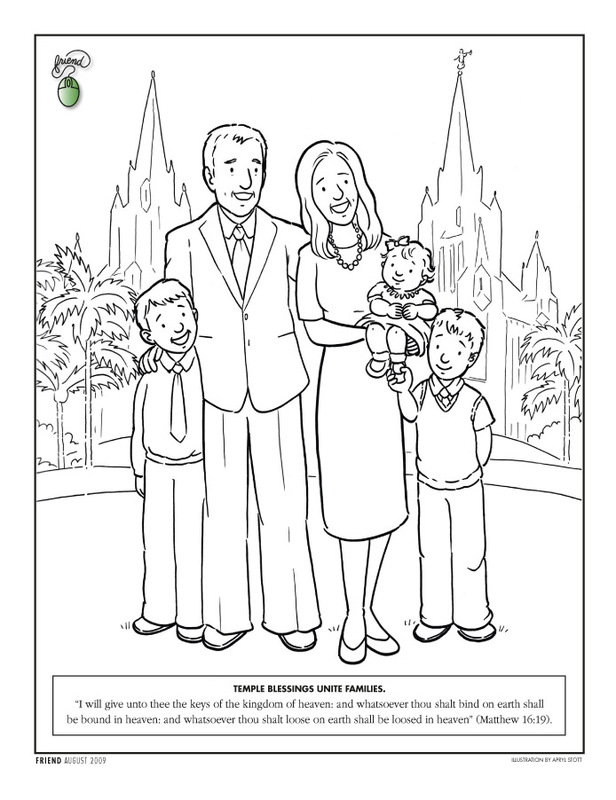 The temple helps us learn more about Heavenly Father and Jesus Christ and why we are here on earth. And temple ordinances make it possible for the best things in life to last forever. 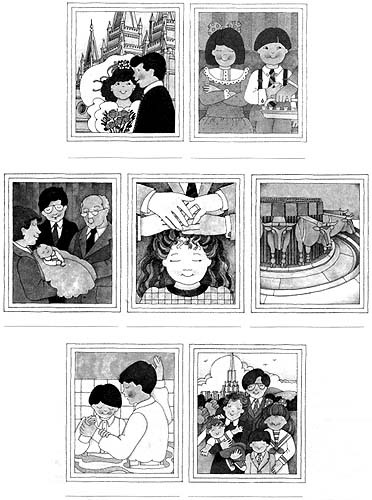 What blessings of the temple are you especially thankful for? 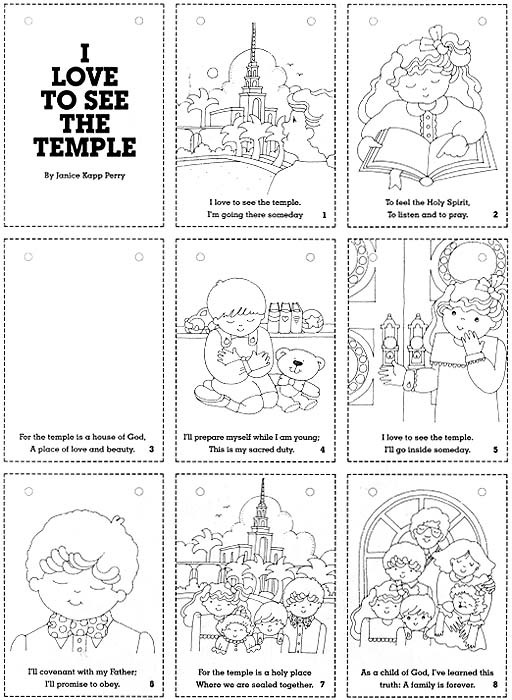 Instructions: In each temple block, write or draw a picture about a temple blessing that is important to you.